On March 2, 2007, H. B. Nicholson, known to all his friends and colleagues as Nick, went to sleep at home, surrounded by his books, and never woke up again. 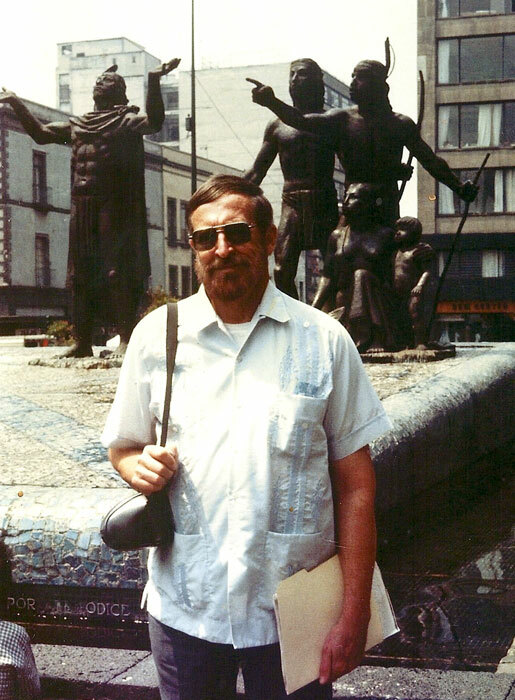 Professor Emeritus of Anthropology at UCLA, he had dedicated his whole life to the study of ancient Mexico, and especially to the life and religion of the ancient Mexica, a domain he had made his own and in which he was the foremost world specialist. 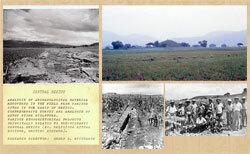 In several publications, Nicholson proposed that the concept of “Mixteca-Puebla” should correspond to a “style” shared by several peoples from the Oaxaca, Puebla-Tlaxcala, and Gulf Coast regions, and not to a culture or a civilization, as asserted earlier by George Vaillant. 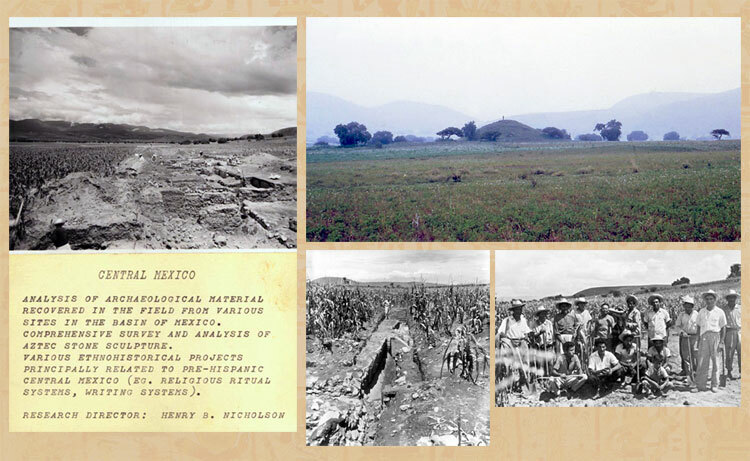 On this theme, besides articles that have by now become classics in their own rights, Nicholson, together with Eloise Quiñones Keber, edited the publication of an important collection of essays on Mixteca-Puebla art and archaeology. H.B. 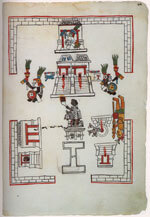 Nicholson also worked on the pictographic manuscripts of the ancient Mexicans. He compiled and updated a list of the extant codices, and important articles on members of the “Borgia Group,” the Codex Borbonicus and the Codex Mendoza. Nick also wrote very detailed reviews on the various editions of the codices, including the Codex Borgia, Codex Selden 3135, Codex Colombino, and Codex Cospi. These reviews continue to be quoted, as would scientific articles, in specialized bibliographies - a rare occurrence that deserves to be underlined. Throughout his career, H.B. 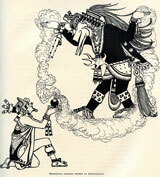 Nicholson was fascinated by the shape-shifting figure of Topiltzin Quetzalcoatl of Tollan. The origin of that passion was when the pre-adolescent Nicholson attended a lecture given in 1936 in which a young speaker identified Quetzalcoatl with Jesus Christ. In Nick’s momentous Doctoral Dissertation he gathered and analyzed all the available sources dealing with the “historical personage” of Topiltzin Quetzalcoatl. After a long discourse, which he presented in a clear and concise manner, Nicholson concluded - with a number of reservations, it is true - that a personage called Topiltzin Quetzalcoatl may have indeed existed at the roots of Toltec history. He added that this historical figure - very often confused with the deity Ehecatl Quetzalcoatl - may have been the model for numerous later rulers, who then adopted his name. Lastly, Nick examined the influence of the myth of the announced return of Quetzalcoatl on the Conquest of Mexico, a subject to which he later dedicated an excellent little monograph. 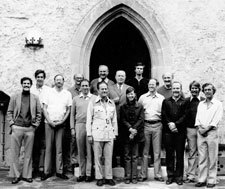 In fact, Nick was to return several times during his career to questions raised by his Ph.D. dissertation, such as the relationship between the “man” Topiltzin and the “god” Quetzalcoatl, the Mixtec deity called “9 Wind,” a critical review of the identification of “4 Jaguar” with Topiltzin Quetzalcoatl, and the iconography of the “Plumed Serpent.” Nick’s doctoral dissertation - a document very difficult to consult, and only in the Harvard University library - was not published until 2001 by the University of Colorado Press. Nick took great care to add a new scholarly introduction to the volume, where he compiled and commented on new bibliographical material that had been published on the subject in the preceding fifty years. Nick’s great interest in ancient written sources was also manifest in several studies on the work of the sixteenth-century Franciscan missionary Bernardino de Sahagún and his indigenous Nahua informants. Besides general articles consecrated to Sahagún’s life and work, came investigations on the missionary’s period of residence in Tepepulco as well as a critical compilation of the vast scientific corpus generated by his writings. 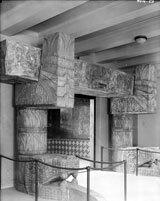 Similarly, Nicholson published several studies focusing on the very rich pictorial section of the Primeros Memoriales: representations of deities such as Huitzilopochtli and Chalchiuhtlicue, the iconography of the veintena celebrations or the famous and much-debated plan of the sacred compound of the Great Temple of Tenochtitlan. Finally, one owes him the completion of a grand project, started by the late Thelma Sullivan, which had been stalled by her death in 1981. 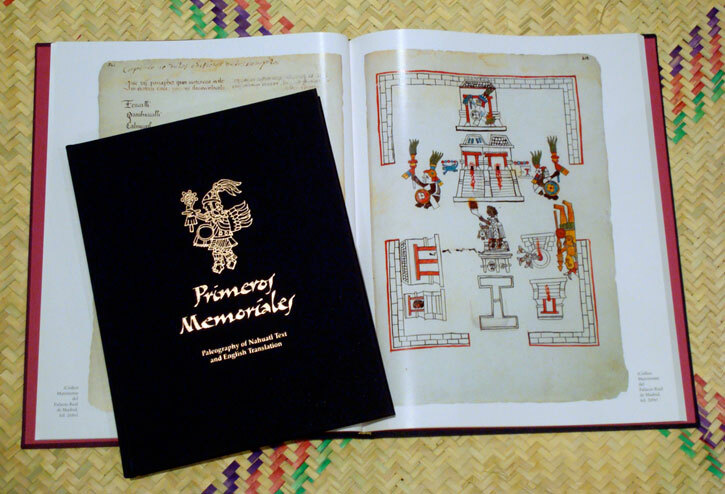 This was the publication of a superb facsimile of the Primeros Memoriales, accompanied by the complete translation of the Nahuatl text included in the manuscript, which had remained partly unpublished. With the contributions of art historian Eloise Quiñones Keber and of translators of the caliber of Charles E. Dibble and Arthur J. O. Anderson, who finished Thelma Sullivan’s incomplete translations, Nick took on the responsibility of writing the introduction to the volume, compiling the bibliography, and, above all, writing copious notes which are spread throughout the whole book. 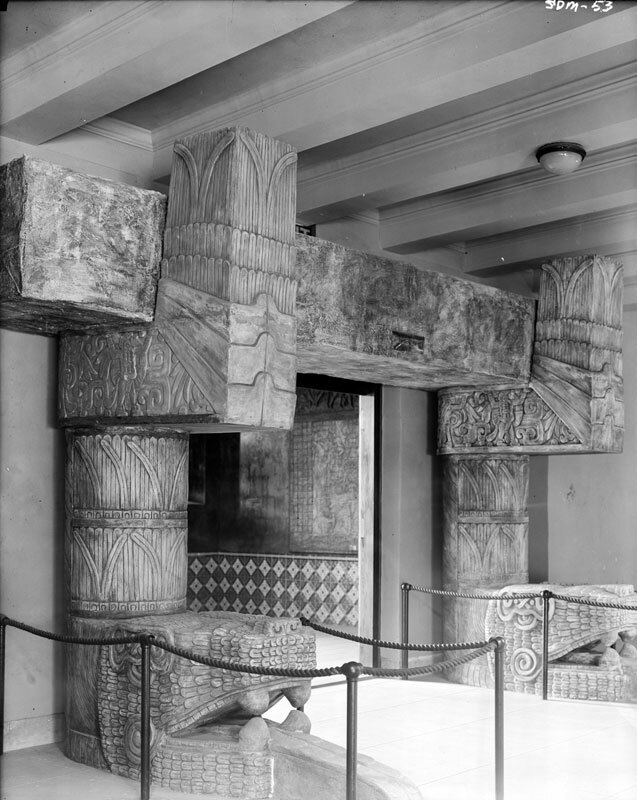 The complex pantheon of the ancient Mexicans was yet another compelling subject for Nicholson’s investigations. As early as 1959, he published contributions within this area. 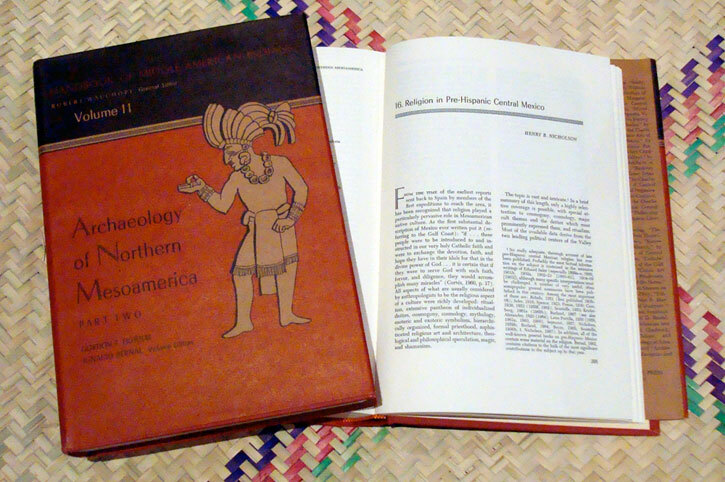 Nick’s Handbook synthesis, Religion in Pre-Hispanic Central Mexico is probably the most cited of all his writings. In this publication not only does he describe the sources, the myths, the worldview, and the rituals of the Mexica of ancient Central Mexico, but he also organizes the numerous deities into three overarching categories: I. Celestial Creativity-Divine Paternalism; II. Rain-Moisture-Agricultural Fertility; and III. War-Sacrifice-Sanguinary Nourishment of the Sun and Earth. Each of these incorporates a series of “complexes” associated with the main themes, such as the Ometeotl Complex, Tezcatlipoca Complex, Xiuhtecuhtli Complex, Tlaloc Complex, and so on. Nicholson briefly describes these “divine complexes,” underlining the relations that united or opposed them. In this invaluable contribution, one also finds useful tables gathering the various names of the gods as well as of the religious celebrations associated with them. 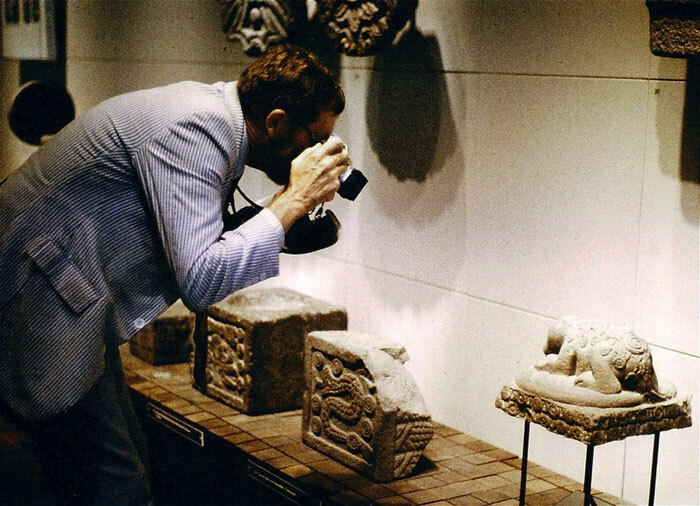 Nicholson was to continue, in later works, his quest for understanding pre-Columbian deities such as Xipe Totec and the group of deities linked with agave wine. Whatever subject he tackled, Nick always demonstrated an extraordinary erudition, incorporating with great ease English, Spanish, French, German, or Nahuatl source material. Nick was a born raconteur and a warm human being. His command of primary sources and the specialized interpretive literature was remarkable. 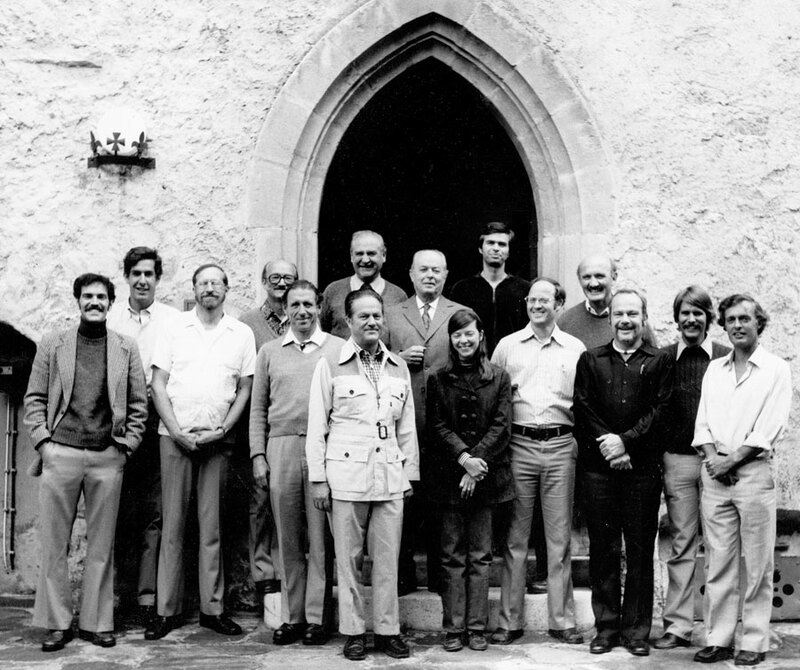 One cannot but be in awe of the diversity of subjects that he pursued, always with the strictest scientific rigor. He always responded to a constant flood of inquiries from students and colleagues, generously sharing his immense knowledge. With gratitude we acknowledge the profound debt owed to H.B. Nicholson. His many friends and admirers feel an immense sadness as we come to grips with his untimely departure from our midst. Translated from the French by Michel Besson. I read with a lot of emotion your article. 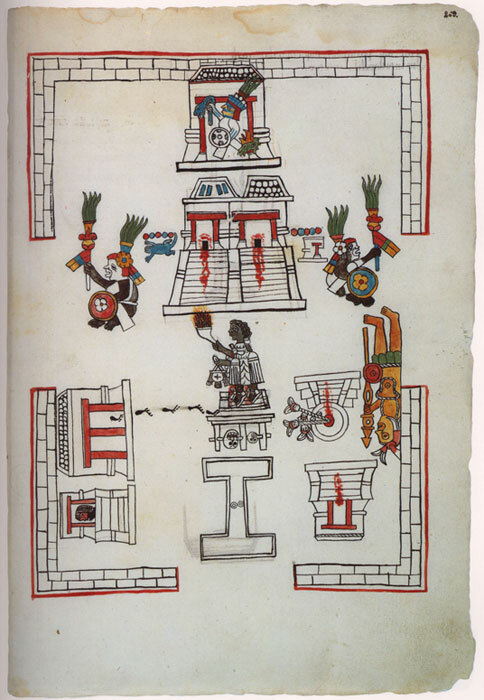 In June, 2007, I bought on eBay a series of codex of the Fondo de Cultura Economica from a certain Kele Johnson, among the most beautiful: the Codex Borbonicus, the 3 Mayan Codex, the Borgia, the Vindobonensis, the Zouche Nuttall... 20 codices at all. A short time later, I learnt that Dr H.B. Nicholson had passed away and that his daughter-in-law Kele was in charge of selling his collection. I realized that these books have an history, a sort of cultural transmission, and they are even more important for me. With my deep respect, thank you, Dr Nicholson. Mexicolore replies: Thanks so much, Jean, for sharing this poignant story. Personally, I’m delighted knowing that those beautiful works are in your good hands (others may be unaware that Jean has been running pioneering codex exhibitions and workshops with young people in France). Keep up your good work! This informative essay leaves out the story of how Nick’s dissertation finally made its way into print 40 years later. Scott Sessions and I, with the help of Alfredo Lopez Austin worked in tandem to persuade and nearly wrench out of Nick’s hands the poorly typed thesis. Scott Sessions then re-typed the ENTIRE dissertation to prepare it for publication in my series, Mesoamerican Worlds.